One of the coolest summer activities that you can enjoy outdoors is barbequing and grilling delicious food. One way to do this is with a new SlatGrill. 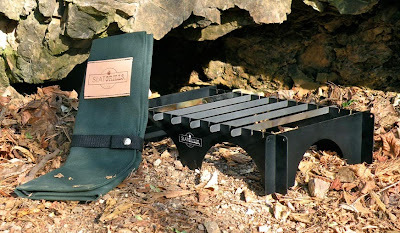 The SlatGrill will enhance any outdoor grilling situation whether it’s by yourself in your back yard, camping with friends, or even with your family at a nice Sunday barbeque. SlatGrills were created by Chris Weyandt. 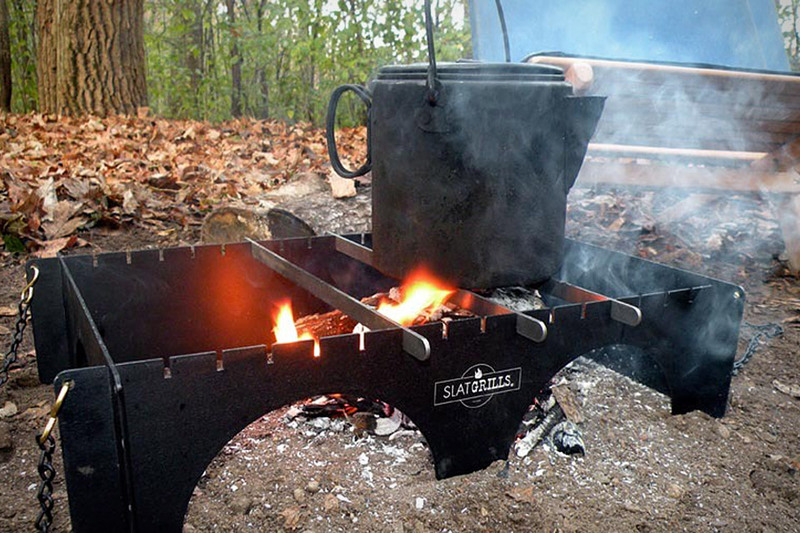 With outdoors man in mind and using simple fabrication skills, Weyandt set out to create a simple, rugged, and easy to use alternative to the box stove. He also tried to avoid the inconvenience of heavy mobile grilling systems currently on the market. That is why he made it light and collapsible. The SlatGrill is constructed of anodized aluminum and stainless steel. It has no moving parts making it easy to clean. The SlatGrill requires no tools to set up. It can cook things of different sizes because the slats can be adjusted, fewer slats for larger items and more for smaller items. Another awesome thing about it is that you don’t have to rely on one particular fuel source. It fits conveniently over a fire pit, Sterno, or gas burner.